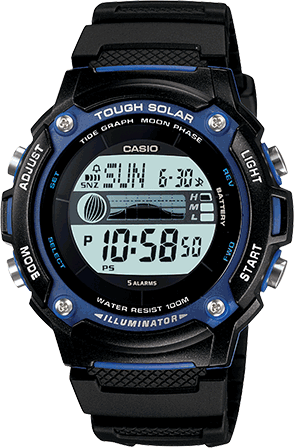 Casio Standard Digital collection has many features among those are, 50-meter water resistance, 1/100-second stopwatch, Daily alarm,LED backlight. It also provide an approximate 7 years battery life. The hour format options are 12/24 hou and gives you an accuracy of ±30 seconds per month. Regular timekeeping: Hour, minute, second, pm, date, day.